seek the wise counsel of the adoption lawyer in Sarasota to guide you through this complex process. Faith Z. Brown, is experienced and about knowledgeable step parent and family adoptions. 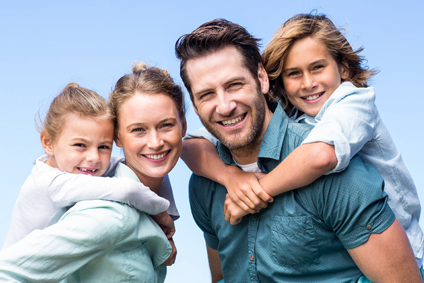 Our family law attorney offers experience gained in practicing family law since 2005, including protecting families in the adoption process in Sarasota, Lakewood Ranch, Bradenton, Venice, North Port, Palmetto, Ellenton, and Parrish, Florida. Contact us today to talk about your hopes and dreams of adopting a child. Request a consultation with our attorney about adoption. We will discuss different types of adoption, as well as adoption lawyer fees. Our attorney will let you know upfront what the fees are. Know that they are reasonable and come with service that allows you to grow your family. Florida, like every state in the United States, has their own set of adoption laws. We recommend that you not attempt to interpret them on your own, but rather speak to an experienced adoption attorney in your home state. There are many online sources where you can learn more about the laws of Florida. We recommend that all adoptive families seek legal representation from a skilled adoption attorney such as Faith Z. Brown. She can represent you in step parent and family member adoptions. Contact us at 941-953-2825 or fill out the contact form provided to schedule your Initial Consultation. We are happy to speak with you regarding your legal situation.